A couple of photos of Dr. Martin Luther King, Jr. on a quick trip to Dallas and Fort Worth in late October, 1959, taken by the wonderful Fort Worth photographer Calvin Littlejohn. 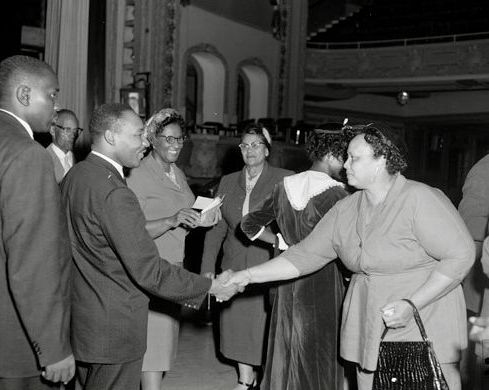 The above photo is from Oct. 22, 1959 and was, I believe, taken after his speech at the Majestic Theatre in Fort Worth. 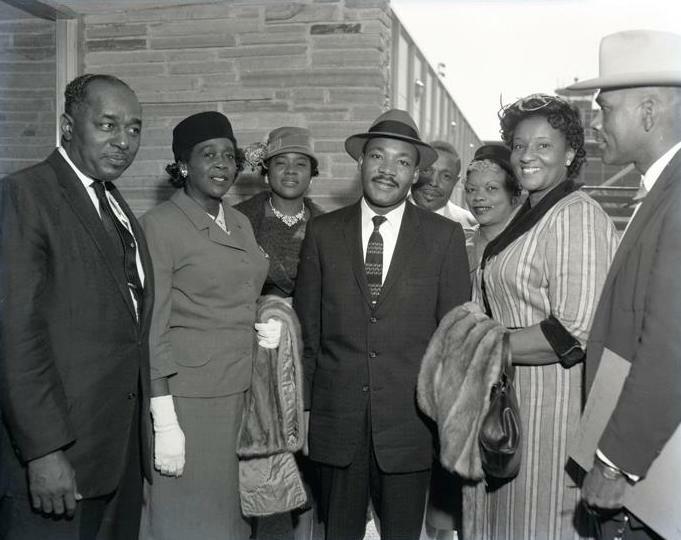 Below, a photo of Dr. King taken at Love Field. Top photo by Calvin Littlejohn, from the Littlejohn Photographic Archive, Dolph Briscoe Center for American History. Mr. Littlejohn took several photos of Dr. King that visit, the locations of which are listed here — giving a good indication of the itinerary of the visit. I saw no mention or coverage of this visit in either The Dallas Morning News or The Fort Worth Star-Telegram. Second photo from the TCU Press Facebook page. A nice overview of Calvin Littlejohn’s career and a few of his photographs can be found here.